Rustic Luxury Cabins in Broken Bow, OK offer luxury cabin rentals near Beavers Bend & Broken Bow Lake. Perfect for a romantic getaway or family vacation! 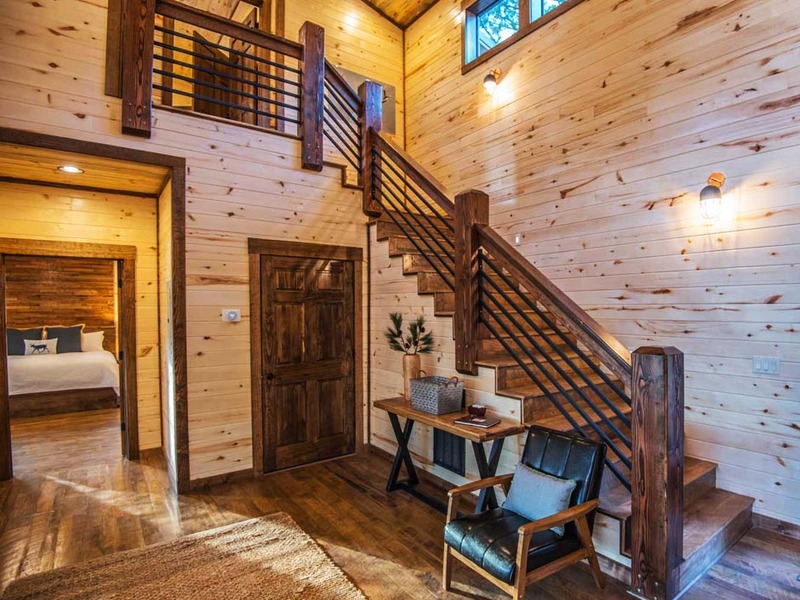 Rustic Hollow is a luxury 2 bedroom cabin in Broken Bow, OK that accommodates up to 6 guests. Rustic Hollow is over 2,100 sq. ft custom luxury cabin rental, plus 1,000 sq. ft. of deck space for entertaining and relaxing. Its rich and spacious interior boast a grand living area with floor to ceiling windows, large sliding glass doors and custom wood floors. Rustic Heights cabin is a spacious 2 bedroom cabin that accommodates up to 6 guests. This stunning custom luxury cabin is over 2,150 square feet with over 1,000 square feet of deck space for entertaining and relaxing. 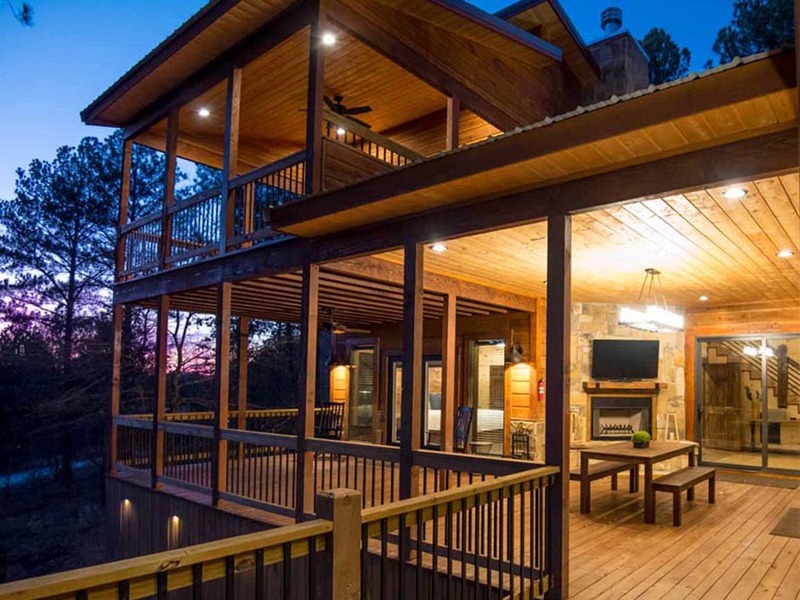 With 33’ of towering floor to ceiling windows, large sliding glass doors, and picture windows throughout, you are enveloped in nature with beautiful pines and hardwoods around the cabin. The cabin boasts 2 wood burning fireplaces on the front & back decks as well as a fireplace in each bedroom and one in the living room. Rustic Heights sleeps up to six people with two master suites that include plush luxurious pillow top king beds. Each bedroom has an attached bathroom offering tiled walk in rain showers and corner Jacuzzi tubs. Both bedrooms have 50″ UHDTVs with Direct TV package (PPV not available) and Blu-ray players. The downstairs master suite has access to the outdoor deck and the upstairs master suite has a balcony, both with beautiful sunset views. The fully equipped open kitchen features quartz countertops, an oversized gas cooktop and an oversized island with counter seating for four, plus a dining table with seating for four. The living area boasts an oversized fireplace and a large 33 ft. wall of windows with gorgeous views of the pines and hardwoods. The living area has a sofa queen sleeper, a 58” UHDTV with Direct TV package (PPV not available), Blu-ray player and sound bar with subwoofer. The expansive wrap around deck with two living areas has beautiful views of the stars and opportunities for relaxation. The front deck features an outdoor dining table with seating for six, wood burning fireplace, 50” UHDTV and Polk Audio premium outdoor speakers with Bluetooth receiver. The rear deck living space has a 6-person hot tub with a 50” UHDTV mounted above the wood burning fireplace and Polk Audio premium outdoor speakers with Bluetooth receiver. 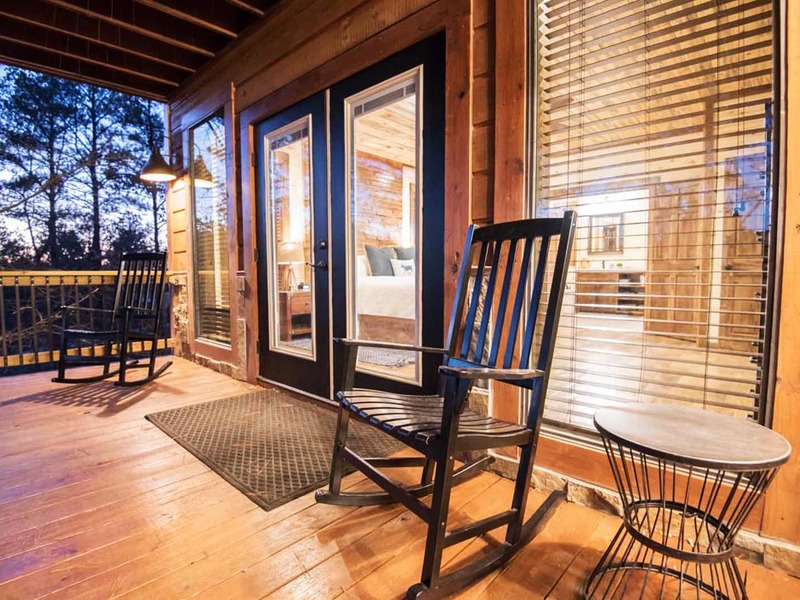 Rustic Heights Cabin is located in the prestigious Timber Creek Trails South, only a few minutes away from local restaurants and bars, breweries, distillery, wineries, Broken Bow Lake, Beavers Bend State Park and other attractions. Rustic Height’s abundant list of luxury amenities will not disappoint. 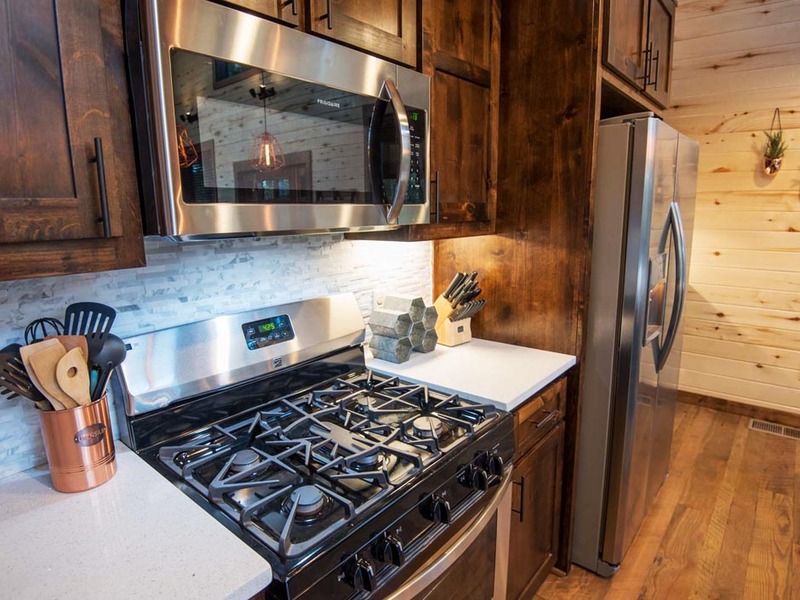 We also have 3 other sister cabins: Rustic Retreat – 2 Bedroom / 2 Bath, Rustic Hollow – 2 Bedroom / 2.5 Bath and for larger groups, Rustic Mountain Lodge - 4 Bedroom / 3.5 Bath. Bluetooth connectivity on iHome clocks in each bedroom, Samsung sound bars in living room, and on both front & back deck.